David Prest has been involved in broadcasting for many years. He is best known as a feature and documentary maker, and has won an extraordinary three Sony Gold awards for his work in the field. For Open Air, he puts his passion for world music to the fore. His philosophy is that "it's not always pretty, and some of the music might set your teeth, and your next door neighbour's teeth on edge, but somewhere there are gems to be found." With David Prest every week is a journey, from Cuban swing to Finnish shouting and then maybe some thumb popping Malian tunes. "We just mix it up and see what happens", promises David. David Prest wraps up the current series of Thick Ear with some Swedish Jazz, Italian Kitch and some old favourites. Nigerian 1970s psychedelic funk from Kenny Mania and The Action Thirteen, and a tribute to Ravi Shankar feature in this episode. Featuring a heavy smattering of music from the Balkans and tracks from the new studio album by 4 men and a dog. Journeying far and wide in this week's show, covering territory from Kurdistan to Congo and playing tracks from Luka Bloom's 1991 album Turf. A more laid back feel, with tracks from Toumani Diabet? 's new album among offerings from Big Bill Broonzy and the Finnish harmonica group, Svang. 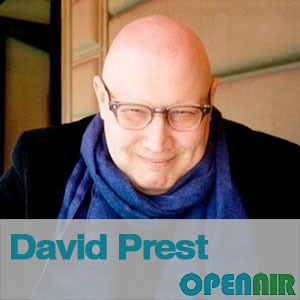 David Prest presents music from around the world, including songs from Tarika, Jimmy Cliff and the Naples Mandolin Orchestra.